VIEW MORE... A delicious way to celebrate Independence Day this morning: french toast/ cream cheese frosting/ strawberry glaze/ blueberries/ bananas & a glass of milk. 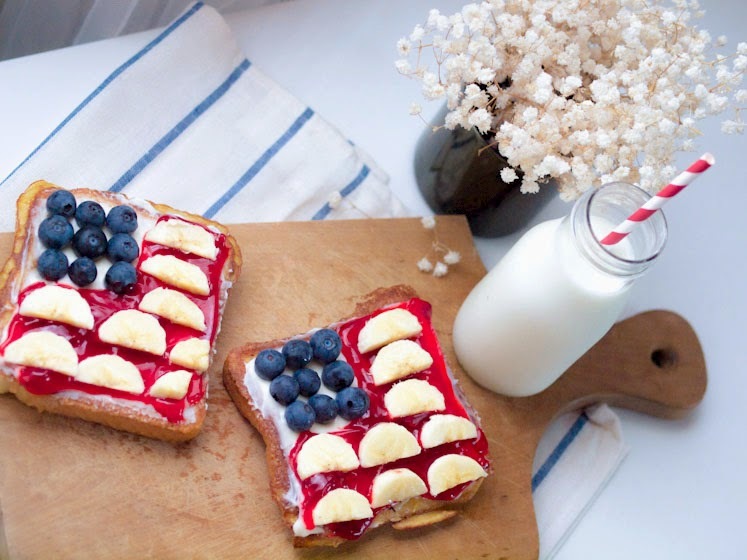 (this great idea is not mine I found a similar recipe on Pinterest) Happy 4th of July! I also want to let you know that soon I will come back with some new posts... My absence is motivated: I decided that it's about time to move on with my blog, and the next step is moving to wordpress: bittersweetcolours.com is about to happen! I'm happy to let you know that this weekend I will re-launch my blog and I hope you'll like the new change. Stay close for the big day! P.S. Congrats Tanya Soyer! You are the winner of the Obakki Giveaway!